Our team is working hard to ensure that we are continuously providing our partners with an unmatched career and college exploration experience. To do this, we place great emphasis on regular communication with the very people who make this whole mission possible - our district partners and the students whom we collectively serve. More than simply maintaining client relationships, we turn valuable feedback into authentic action and innovative solutions. In other words, we listen. We REALLY listen, and we can’t wait to share with you all of the ways we have translated your ideas, requests and suggestions, into thoughtful action. 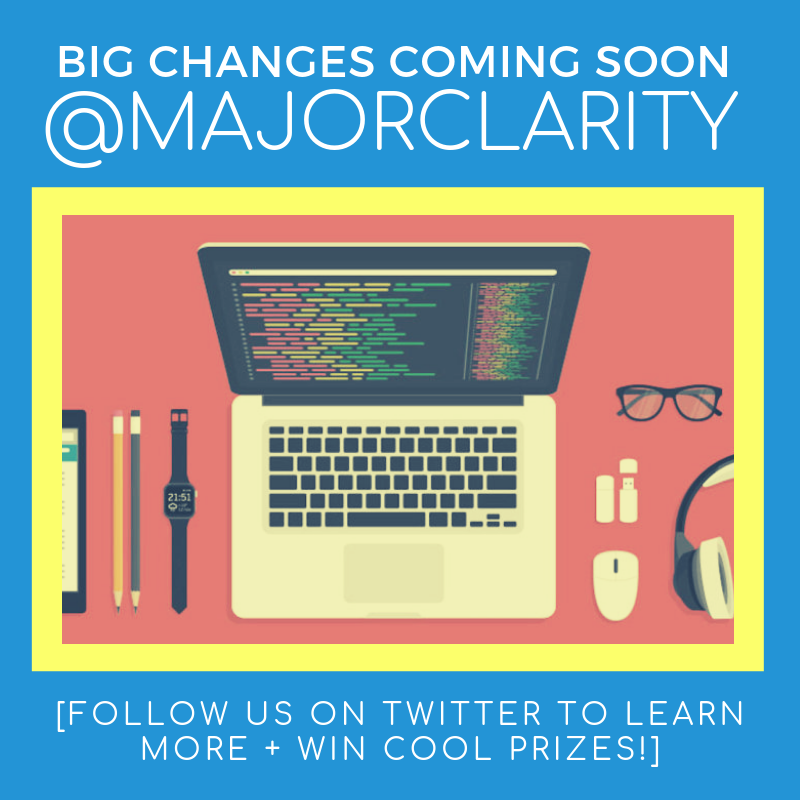 Be the first to know what kind of tricks we have up our sleeves by following @MajorClarity on Twitter - and checking the blog often for the latest updates. We have big plans in the works, and we are STOKED to share all of these exciting changes with you in the weeks ahead! Our @MajorClarity April Twitter Giveaway week one winner is the Cave Spring HS Guidance Department! Congratulations to the hardworking counselors of CSHS in Roanoke, Virginia! Thank you all for your ongoing support and enthusiasm for our platform. We are thrilled to hear that your students are loving MajorClarity, and proud to be partnering with Roanoke County Public Schools! Do you want a chance to win some MajorClarity swag? All month long, our newest @MajorClarity Twitter followers will be automatically entered into our weekly prize drawings for the @MajorClarity April Twitter Giveaway. Retweet our posts to be entered twice. Winners will be selected each Monday this month. Good luck! In need of an engaging, goal-oriented lesson plan to share with your staff and students as the school year winds down? MajorClarity has got you covered! Check out our April blog post and download our Career Connections lesson plan. We have lots of great instructional resources available right here on the blog. Check back often to stay in the loop! If you have questions, feel free to email us! We are always happy to hear from you.